Described as “the child genius of American photography”, the son of famed photographer Edward Weston, Brett Weston began working towards filling his father’s shoes at the age of 13. Brett absorbed formative influences from his father as well as Tina Modotti, Frida Kahlo, Diego Rivera, and José Clemente Orozco from the time he began working in his father’s studio in 1925. At 17, he already had works included in “Film und Foto” (1929), a critical avant-garde exhibition held between the two World Wars. By taking a thoroughly Modernist approach to his medium, Brett reduced his subject matter to pure form through thoughtful framing and the production of sharply contrasted black-and-white close-ups. 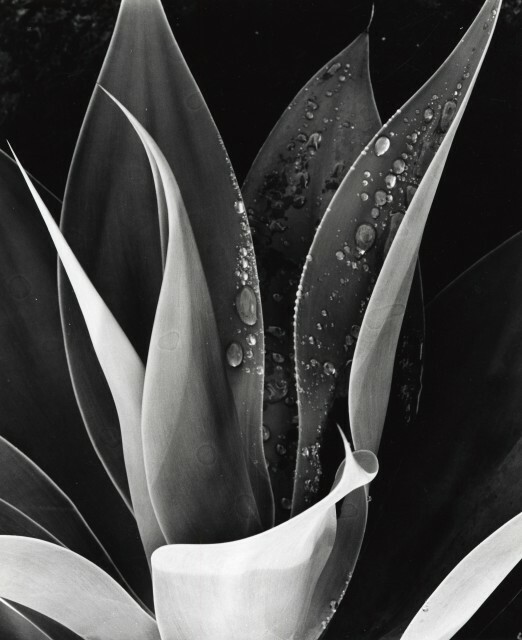 His unique perspective of perceiving purity in nature’s patterns is evident in his notorious Botanicalseries, taken during the 70s and 80s. Weston worked as he travelled the world, transforming a diverse range of subjects and atmospheres; from urban and natural landscapes, close-ups of organic and manmade materials, as well as nudes, into elegantly abstract volumes and compositions.